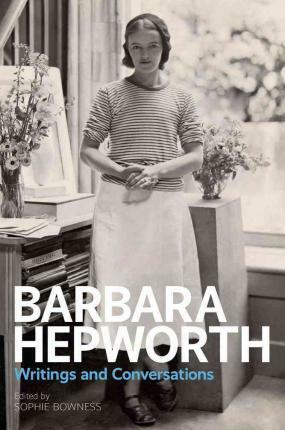 This first collection reveals the remarkably eloquent writings and conversations of sculptor Barbara Hepworth (1903â€“1975). The compilation finally makes available previously out-of-print and inaccessible writings, and includes a significant number of unpublished texts. A surprisingly large body of work, it spans almost the whole of Hepworthâ€™s artistic life. Her gift for language and desire to communicate to a public are evident throughout. Alongside the writings are Hepworthâ€™s lectures and speeches, a selection of interviews and conversations with writers and journalists, and radio and television broadcasts. The collection sheds new light on Hepworthâ€™s life, her artistic practices, the sources of her inspiration, the breadth of her intellectual interests, and her deep engagement with contemporary politics and society, from the United Nations to St. Ives. Images include replications of the sculptorâ€™s manuscripts and archive photographs from Hepworthâ€™s own collection.